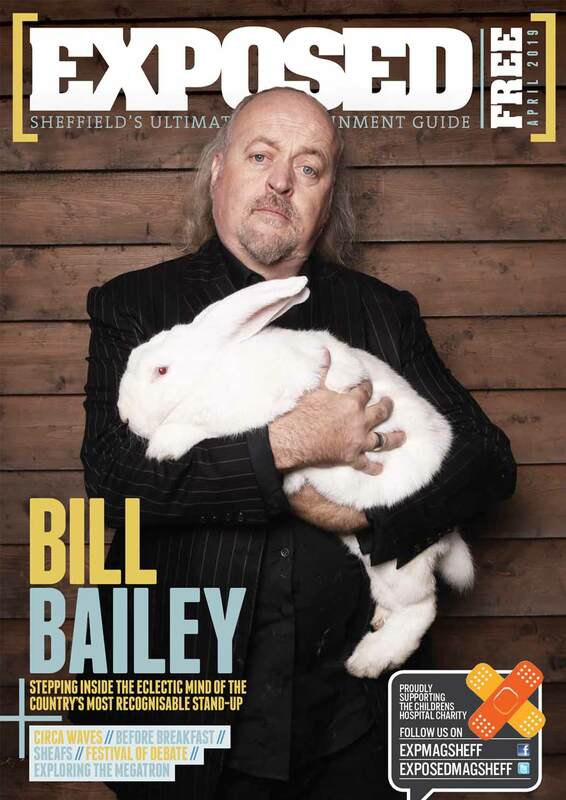 It’s been quite the tumultuous year for Sheffield venues this year. With much-loved spaces such as The Night Kitchen and Theatre Delicatessen both announcing the closure of their premises at similar times, there was a justifiable fear for the future of alternative spaces in the city. But now we have hope. 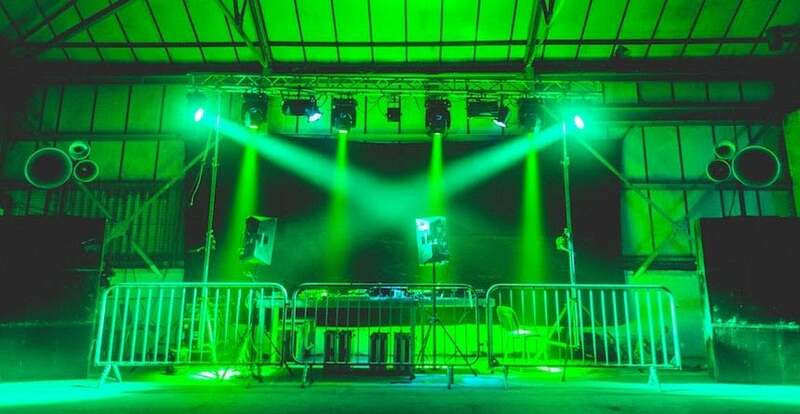 After a momentous opening Freshers Week event on Friday September 22nd courtesy of Pretty Pretty Good, new venue Southbank Warehouse is officially open, ready and raring to go. We headed down to check it out and meet the faces behind the spaces. All photos are from PPG: Space Dimension Controller (Live), Dan Shake and anu on Friday 22nd September 2017 © James Reilly Photography. 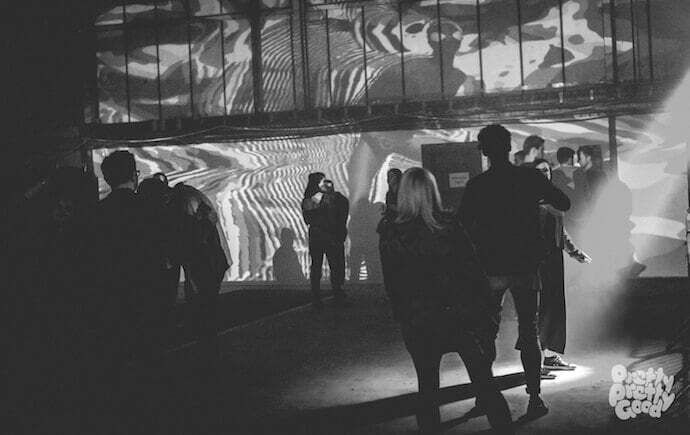 Southbank Warehouse is the brainchild of Daniel Hunie; Dan Metcalfe, longtime promoter and former Dan Sane venue manager; and Dan J Wootton, Sheffield’s resident selector and vinyl junkie. 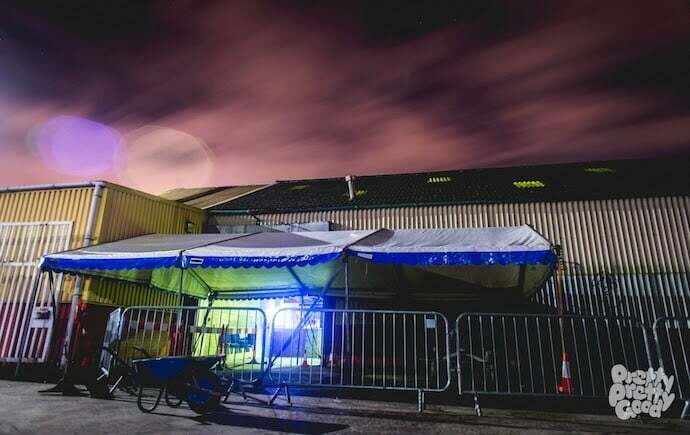 I met them – all excited as teenagers on their first night out – as they put the final touches to the new-look Swift Levick Steel Works, tucked away on the south bank of the River Don in Attercliffe. They explain that Southbank is fundamentally a venue, but inside Canalside Studios – a conjoining building next door – Dan J plans to open a new record store, which will also act as the green room for artists coming to play. The 9000 square feet of rooms upstairs will become a canvas for creative studios, meeting rooms and office space for forward-thinking businesses. Kelham Island was a no-go area 20 years ago. We need to reface this area. Hope Works has started it, and we want to continue that in encouraging others to come down. The warehouse dates back to 1854, and the first thing that becomes apparent upon entry is the huge courtyard, overlooking passing trains on their way in from London. Then there is the cavernous Room 1, a high-ceiling room with slanted windows running across roof. It’s all made significantly more intimate by a mezzanine balcony overlooking the room, reached by heading up some stairs in the newly-built Room 2 – a long, thin space with its own separate entrance. It’s immediately clear that Southbank is more than just your average warehouse; the place oozes character. When the Dans lead me through to Room 3 –a sweatbox with a perfectly placed side-room-come-DJ-booth, complete with hatch – you can almost hear the crowd cheers in the air. When I ask why no-one has used the warehouse before, Daniel Hunie explains: “Many people have tried, but it’s just been a case of right place, right time. We’ve worked hard with the council and services to make this space completely safe and work long-term.” It seems their extensive plans for the building have helped convince the council that what they’re doing is “high culture”, to paraphrase the German government’s new classification of techno. It’s a battle that is often lost – but selling music inside a venue really hammers home the message that music is its focus. If having a record store inside your club works for the Berghain, why shouldn’t it in Sheffield? When I jokingly suggest that the shop could open at 7am when the rave ends, Hunie’s eyes light up. It also helps that the first set of events taking place at Southbank are a decidedly ambitious collection of line-ups, both forward-looking and retrospective, with Pretty Pretty Good and Hunie bringing in a wide array of house, disco and techno artists from the last 30 years. On the one hand you have the ever influential Octave One and DJ-of-the-moment Peggy Gou, and on the other, the definition of a veteran, Francois K, and Chicago-house legends Mood II Swing. After killer sets featuring the other-worldly Space Dimension Controller, futuristic disco-house from Dan Shake and a hypnotic anu in Room 2 went down a storm on Friday, it’s clear that Southbank’s buzz is going to last. A certain quality of event is being maintained, and there’s a reason. “We want to sustain a level of consistency, not only with the standard of artists performing, but with all the elements that hold a venue together. We want everyone from the promoters to the bouncers to have an understanding that enjoyment of music is the main focus of Southbank. Sheffield’s a city of music lovers, and not just one genre. Music’s good for the soul; not just for a person, but a whole city.” We discuss Pretty Pretty Good’s community guidelines, and Dan (Hunie) explains that was one of the reasons Southbank went into partnership with them. If Sheffield is going through a time of change in its nightlife scene, now seems a better time than ever to start thinking big and fine-tuning the small stuff. While we are a notoriously well-behaved city, we still see things you’d rather not have to deal with. 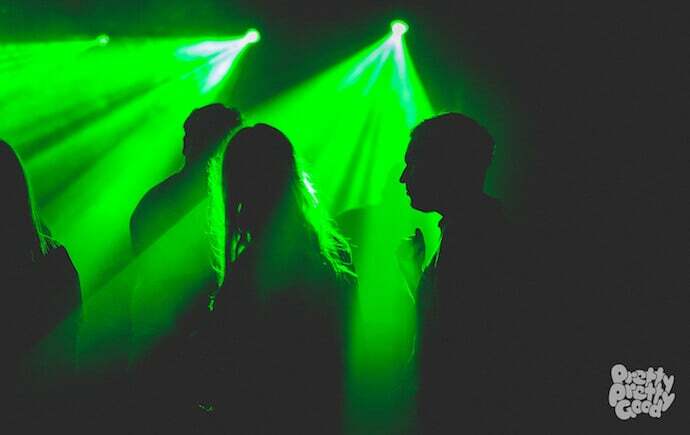 It’s about time that underground club nights became the place where you don’t see those things, and in doing so show the council that it’s West Street they should be worried about – even if they do go home at 2am. Hunie debut at Southbank Warehouse on October 21st with disco and house legend Francois K, then Mood II Swing, Ron Basejam and San Soda hit the space on October 27th. Pretty Pretty Good return on November 3rd with Octave One, FunkinEven, Peggy Gou, Re:ni and Tasker. Tickets are available for all three events now from Resident Advisor. Milburn: "It’s all our old experiences and knowledge combining"